The panelists began with both personal and professional introductions of themselves. 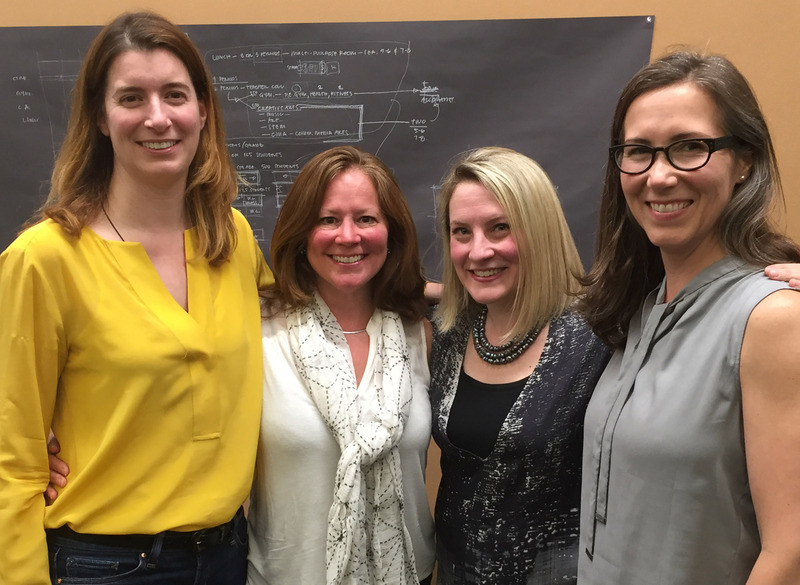 All four women have significant experience in the architecture industry but varied career paths — experience at all sizes of offices including small business ownership was represented. Personal lives were equally diverse: married life, independent singlehood, companion animals, and young children. 1. Is there a time or event in your career that you can pinpoint when you made the decision “to stick with it” [a career path in architecture] rather than leave? Issues such as the lack of female role models in most architectural offices, male-dominated culture, unclear paths through the field, and general difficulties in career advancement were discussed. When faced with these realities, some consciously decided to stick with the field, responding to the challenge of bridging the divide between men and women, while others fell into a niche or found that their motivation to succeed professionally increased when their personal responsibilities increased at home with the birth of a child. 2. Does the size of your firm influence your ability to advance or are there other influences? Firm size did not seem to be the primary barrier to advancement. The amount of time spent at an office seemed to have a greater effect on ability to advance: across all firm sizes, new hires are the ones who get attention and opportunities for advancement while loyal long-term employees too often fade into the background and are taken for granted. Furthermore, some noted that women are less likely than men to take “reach” assignments outside of their comfort zone, consequentially self-limiting their ability to advance when compared to their male peers. Faced with these factors hindering success, all panelists emphasized the need for female architects to support each other in and out of the office environment, take initiative at work, and lead by example. 3. How did the choice and timing of when you had a child impact your career? This area of discussion was touched upon far before the question was posed directly. The mothers found that having a child focused their motivation for being in the field and their newfound focus helped them succeed professionally. For the panelists, maternity leave also seemed to function as a productive “internal career move” for those already established at an office. Instead of needing to move to another firm in order to advance in the field, the time away and new status as a parent shifted both how they were perceived and productivity at work in a positive way. Children seemed to happen late for the successful mothers, however, as most saw those starting families early in their career struggling to balance professional and personal responsibilities. 4. Who or what is your support system or don’t you have one? A strong support system was absolutely critical in the career success of all the panelists. Other female friends in the field, interoffice allies, and strong relationships with life partners were discussed in addition to humorous means of coping with job stresses (retail therapy) and the importance of using alternative means of communication (texting in particular) in a time-demanding field. 5. How do you keep your confidence and portray yourself as a value within the industry? For all panelists, confidence came from the strong support systems noted in the previous question. Maintaining confidence while working in the industry requires surrounding oneself with supportive mentors, coworkers, and friends while maintaining focus on professional goals. All agreed that confidence is a critical quality for achieving success in the industry.